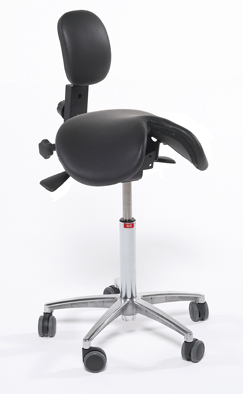 Allows you to lean back and perform stretching exercises while in your Salli Saddle Chair. 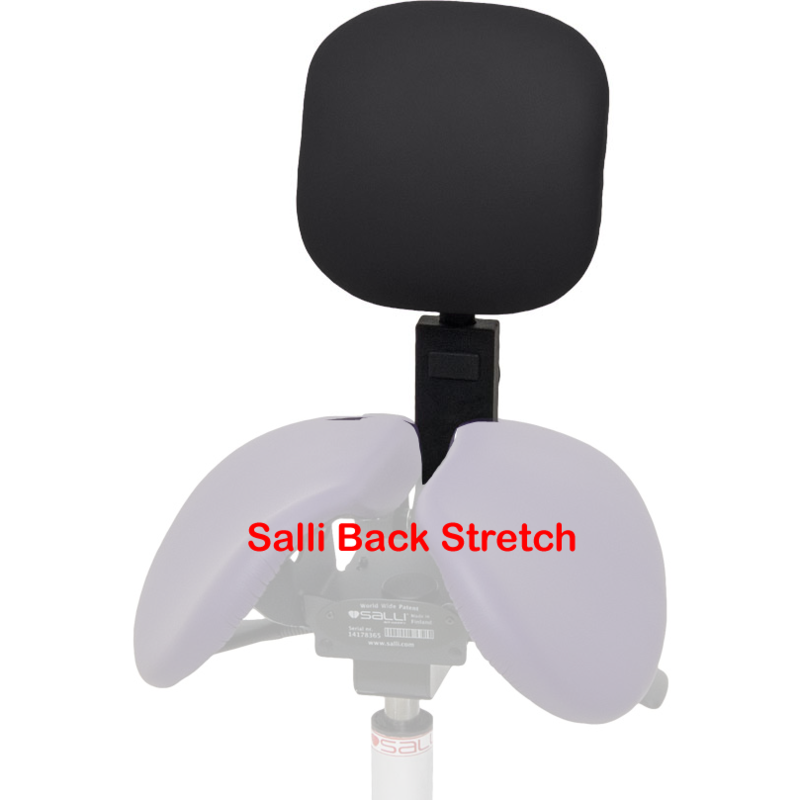 The Salli Back Stretch is an exercise aid, NOT a conventional backrest. It will NOT support your back in a upright posture. Your lumbar spine will NOT touch the back pad when you are in a normal working posture. Pivoting back pad is upholstered in durable black leather. Adjusts 4" in height and 4" front-to-back. 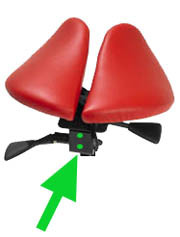 Compatible with Salli "tilt" type seat brackets, e.g., on Salli Multiadjuster and on most Salli Twin and Salli Classic models. NOT compatible with Salli "swing" type seat brackets, e.g., on Salli Swing, Salli SwingFit, Salli Care (Shell), Brewer 135DSS. Your Salli must have these two mounting holes at the rear for attachment of the Salli Stretching Support. A 24" (600 mm) diameter polished aluminum chair base is available as an option. The standard base is smaller (< 21-1/4") and poses a tipping hazard if used with the Salli Back Stretch. Factory installation is strongly recommended. While field installation is possible by a skilled technician, we cannot warranty work performed by installers who are not factory-authorized. Important! 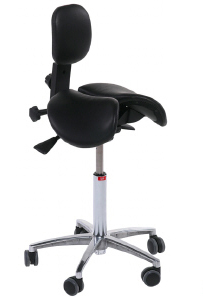 Requires a larger diameter (> 24") chair base for stability during stretching exercises. 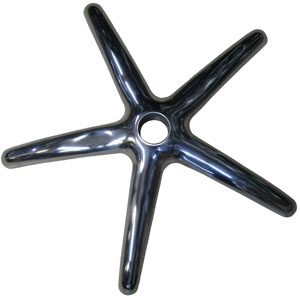 The standard Salli Saddle Chair base has a smaller diameter (< 21-1/4") base. Instructions for removing and replacing the chair base and casters are in the Salli Instruction Manual (Finland) 175kb.